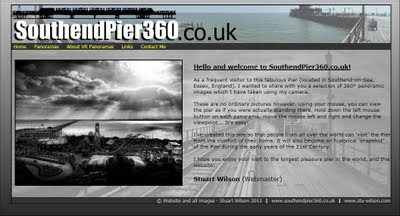 During my various visits back home (Laindon) since moving to Evesham, we've always gone to Southend to walk the pier. I don't know what it is about it, but I find it so fascinating. I have countless photos, and more recently I took some 360 degree panoramic photos which I have stitched together, made interactive and are now available on a new website. 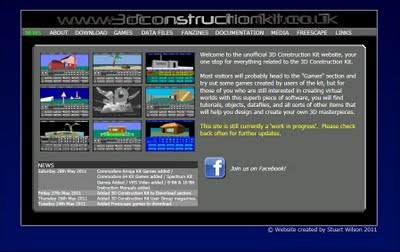 The other site I have created is dedicated to one of the best applications I have ever bought on any computer - The 3D Construction Kit by Incentive Software. I had this program on my Commodore 64 and Commodore Amiga way back in the early 1990's and made quite a few games with it. I noticed that there wasn't really site dedicated to it, so here it is - with thanks to a few others who I have started chatting to on some old retro computer forums (particularly Steven Flanagan who has located lots of difficult-to-find games and materials for me to use on my new site). Anyway, if you have a few minutes to spare, please check out these new sites. Yikes - it has only been 131 days (or 3160 hours) since my last post.... Sorry. I had a nightmare last night which woke me up... I kid you not. In it, I was asked to replace all PCs at the school with Apple Macs. Scary stuff! Interesting day at work today. I created all the new Year 9 student accounts (those who will be joining the school in September), and drew up some layouts for a new classroom which is being built. Trying to squeeze 26 computers in a small room is quite a challenge! Trying to be more regular with my postings on here - watch this space.